Until she realized the moisturizer at hand was still really great, and could totally work in her winter skincare routine. 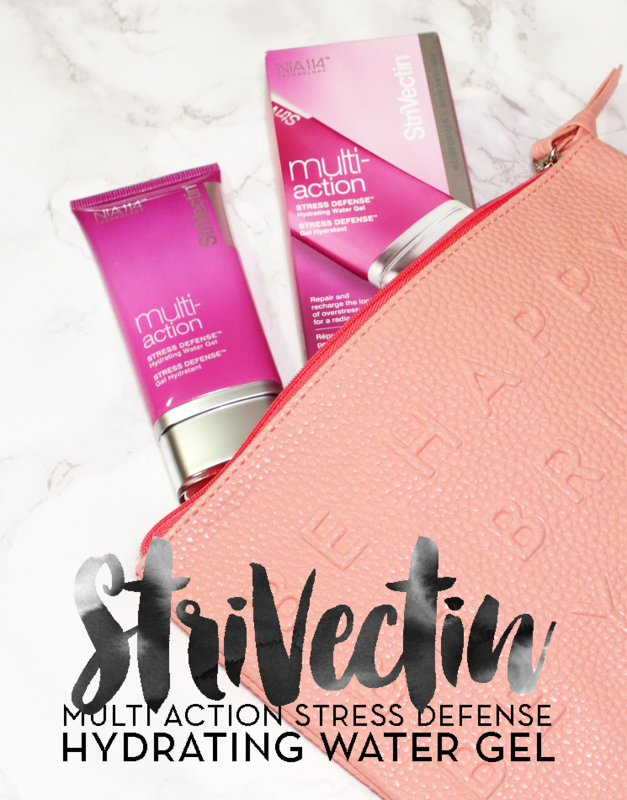 The StriVectin Multi Action Stress Defense Hydrating Water Gel is light, gel-based moisturizer that works tri-fold to not only hydrate, but protects skin from 'modern stressors' (think environmental pollution, lack of sleep, blue light from devices etc.) while also working on the anti-aging front. The formula contains a unique complex of antioxidants and amino acids to protect and repair the visible signs of stressed skin- think fine lines, wrinkles, dullness, you get the idea. 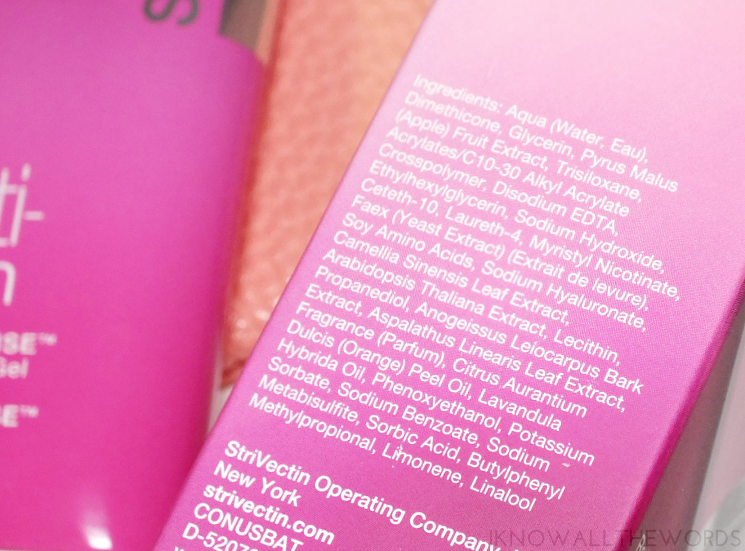 the StriVectin NIA-114 technology adds to the formula by strengthening the skins moisture barrier to prevent water loss. Now when it comes to fragrance in skincare, I'm usually one to say it's not necessary, but this formula does have a light, almost fruity but not exactly (I know, such a great description...) that is actually quite pleasant. It is said to work with the texture of the product to 'melt away stress' but could be problematic for those who don't tolerate scents well. I've touched on the weightless feel of this moisturizer, but this is truly a lighter than light type of product. It does feel wet when first worked into the skin, but it absorbs pretty quickly, with a soothing, cooling feel that almost melts in. 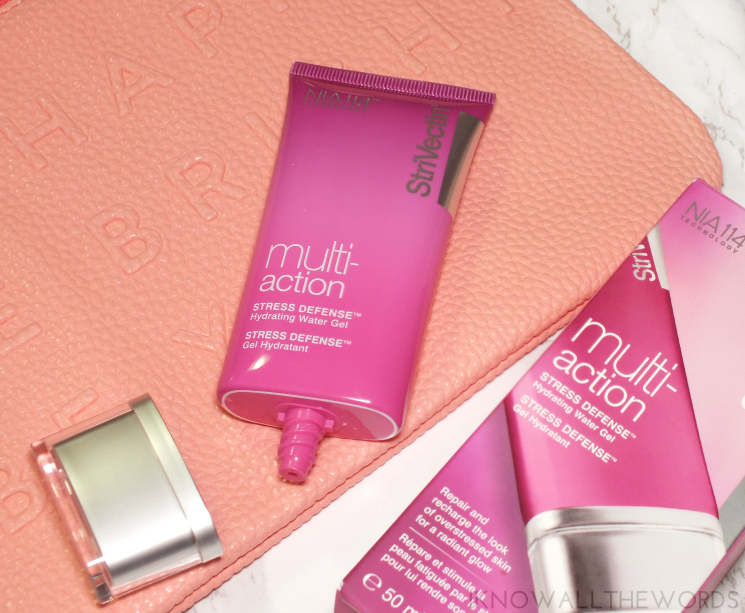 Skin feels instantly hydrated, with a smoother feel and a youthful plumped appearance. Those with oily skin will love the weightlessness of this formula and the fact that really does hydrate well. This with drier skin, like myself, may find this isn't quite enough for year round use. I've reintroduced this to my routine as my morning moisturizer (and pre-makeup moisturizer) but use something heavier in the evening. Overall, I am really pleased with this moisturizer. I love that it doesn't skimp on hydration for such a light product and think it will suit just about all skin types. What do think? Could your skincare routine benefit from this moisturizer?